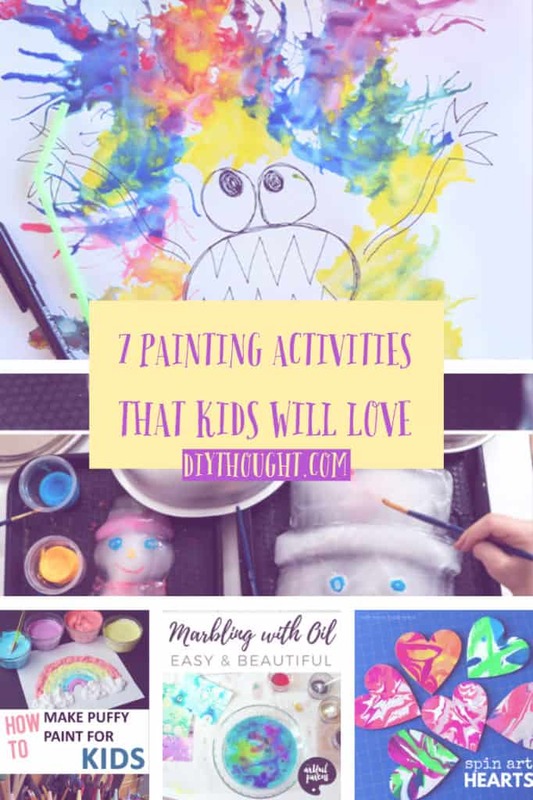 Keep the kids busy this week with these 7 painting activities that kids will love. The painting activities here all use different techniques, they are all simple and great for all ages. 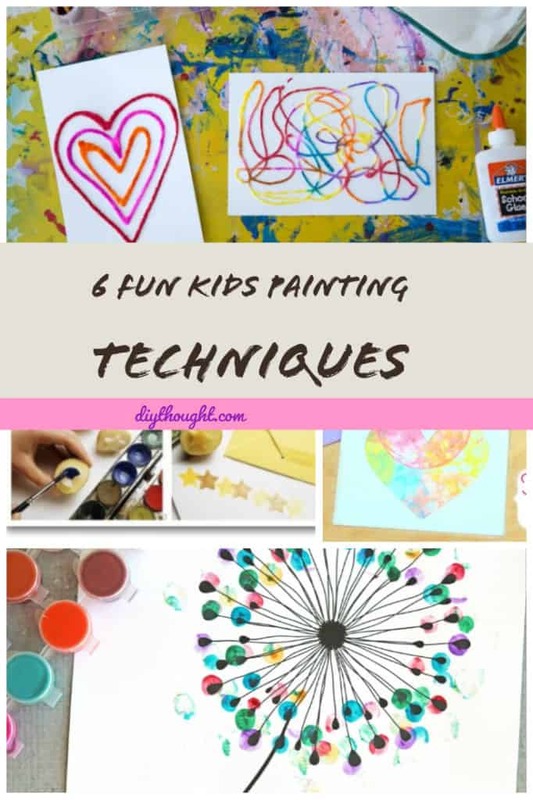 There are homemade paints such as puffy paint and sidewalk paint as well as fun creative activities such as monster blow paintings and oil marbling. So lets get painting! Puffy paints are lots of fun to paint with and are super easy to make. Get the recipe from Sunlit Spaces. 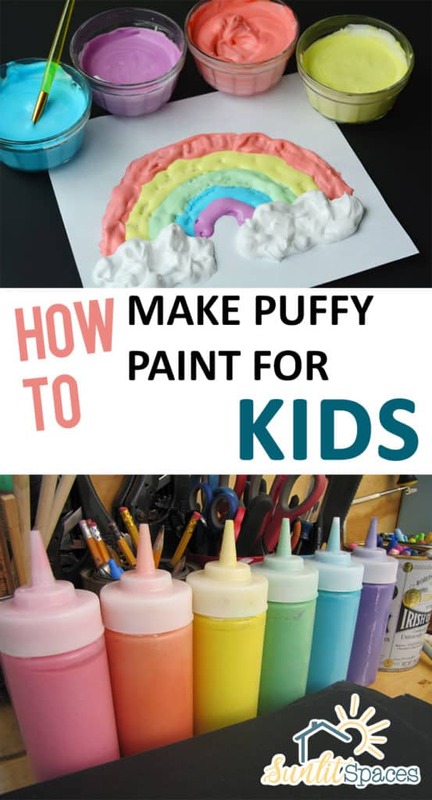 Puffy paints are sure to keep kids busy! 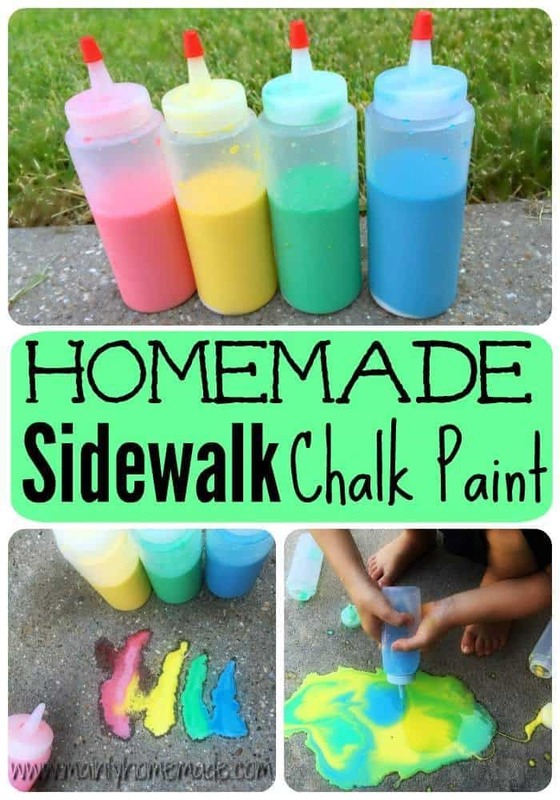 Sidewalk chalk paint is a fun and easy activity to make with your kids. It is made from ingredients you likely already have at home, baking soda, corn starch, water, food coloring, and vinegar. 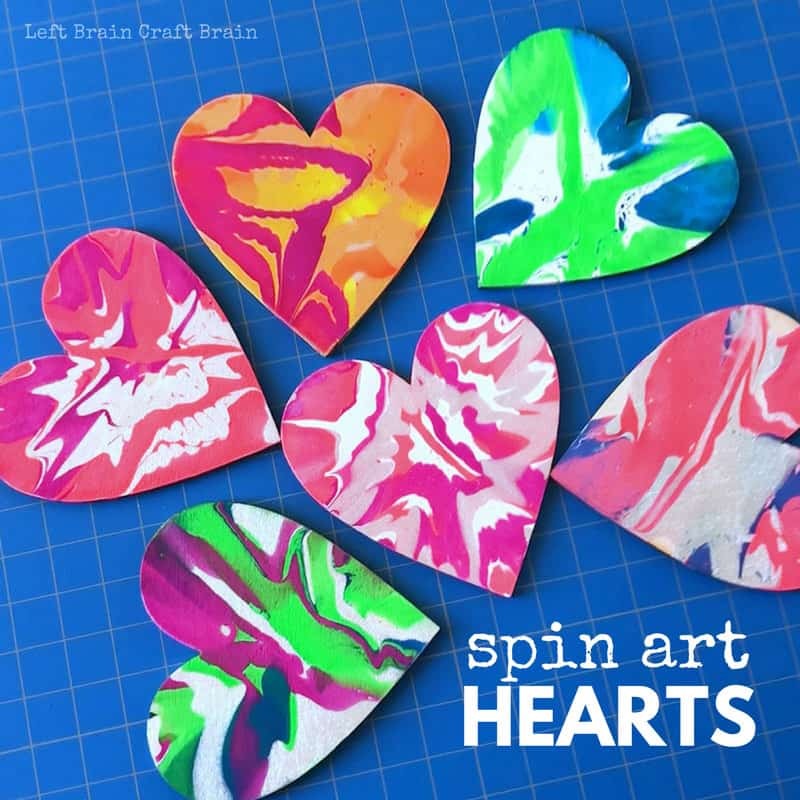 Have a blast making artwork and watching it fizzle down the driveway! Visit Mainly Homemade to find out more. Marshmallow paint is awesome for kids to use to decorate cookies. It is quick and easy to make and lots of fun to decorate with. Mix it up and use it on bread for a very sweet sandwich or use it to paint on paper. 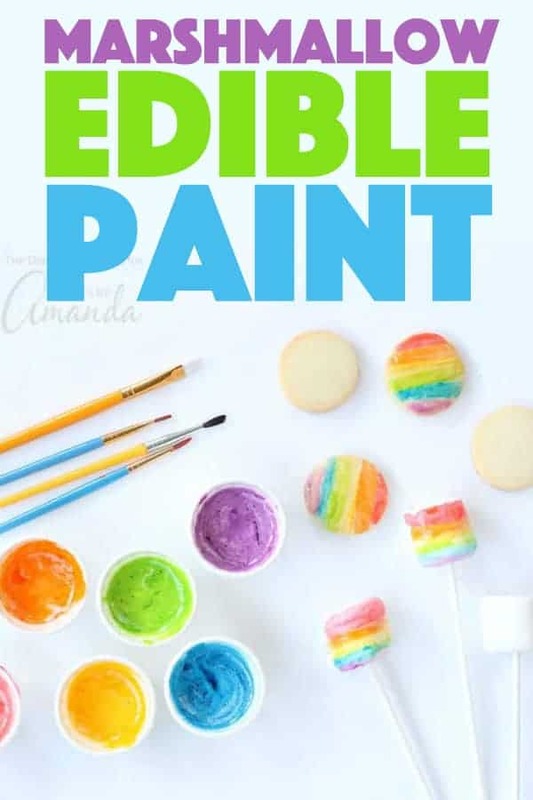 Crafts By Amanda has the recipe and all you need to know about this fun painting activity. 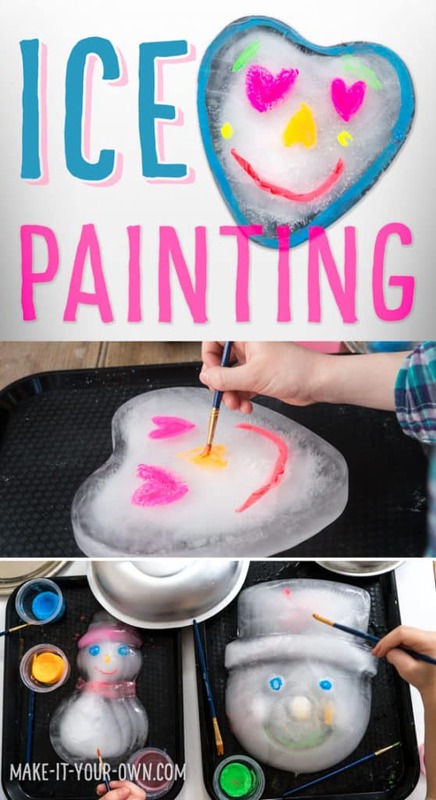 Painting on ice is a whole new and fun painting experience for youngsters. Freeze ice in cake molds before painting, it’s as easy as that! Click here to read the full tutorial. Spin painting or spin art is a process where an item is decorated with paint by spinning the object. No fancy equipment is needed just something that spins like a salad spinner. This is one art activity that all kids will love. Head over to Left Brain Craft Brain to read the full tutorial. 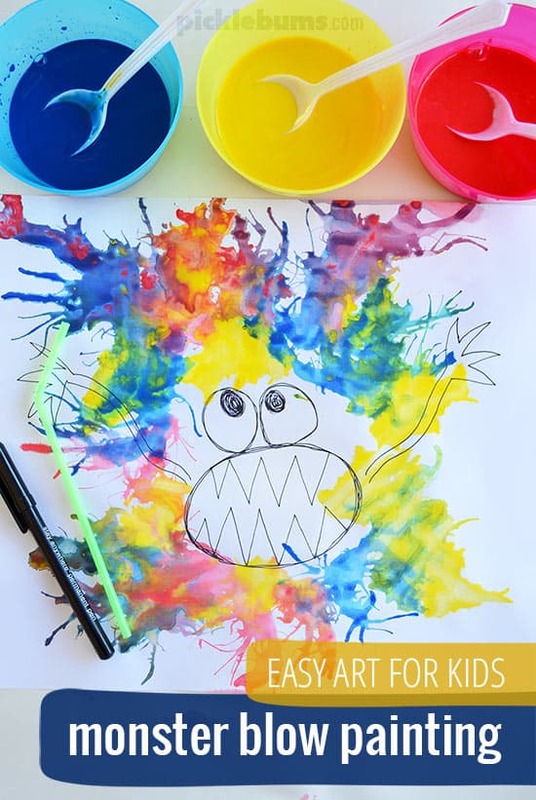 Create fun, cute and scary monster faces before using the blow painting technique to create monster hair. A great art project for all ages, for younger children, draw the faces for them. Visit Pickle Bums to find out more information. 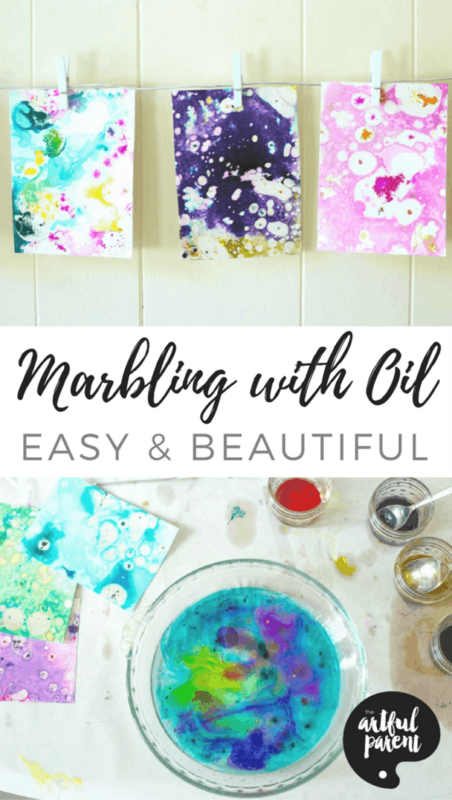 Create beautiful artwork using this oil marbling technique. Since oil and water repel rather than mix, the oil marbling technique creates bubbles of color and white spots. Where there are oil bubbles, the water-based food coloring won’t stick to the paper. These paintings would look amazing turned into cards. Head over to The Artful Parent to find out more.